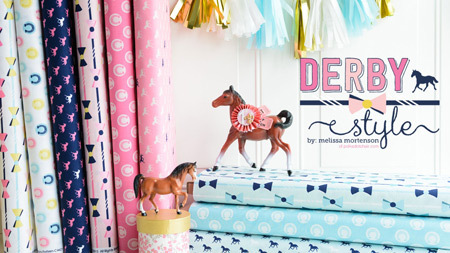 The Kentucky Derby is less than two weeks away, it’s time get your home ready for a party! 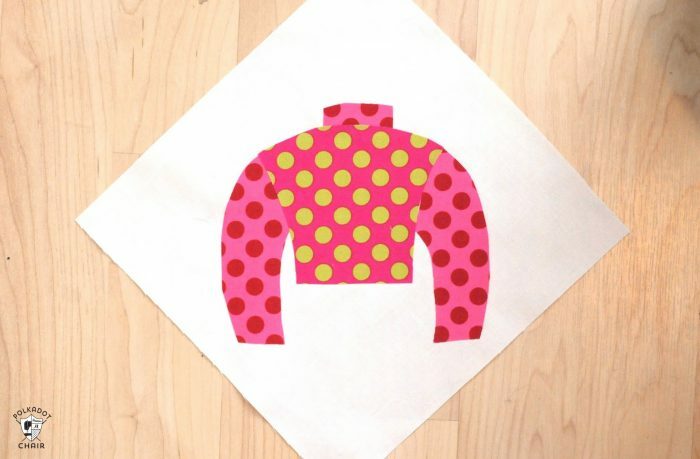 If you’re looking to add a little something to your Derby themed decor this year, why not start by stitching up this Derby Jockey Silks Table Topper? 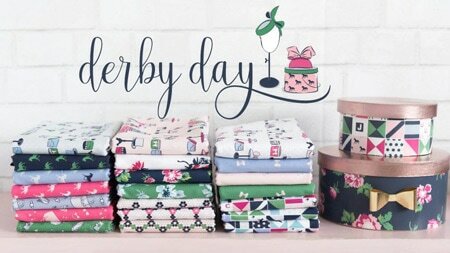 If you like this tutorial then you may also like this tutorial (and free Cricut cut file) for these DIY Kentucky Derby Pillow Wraps. 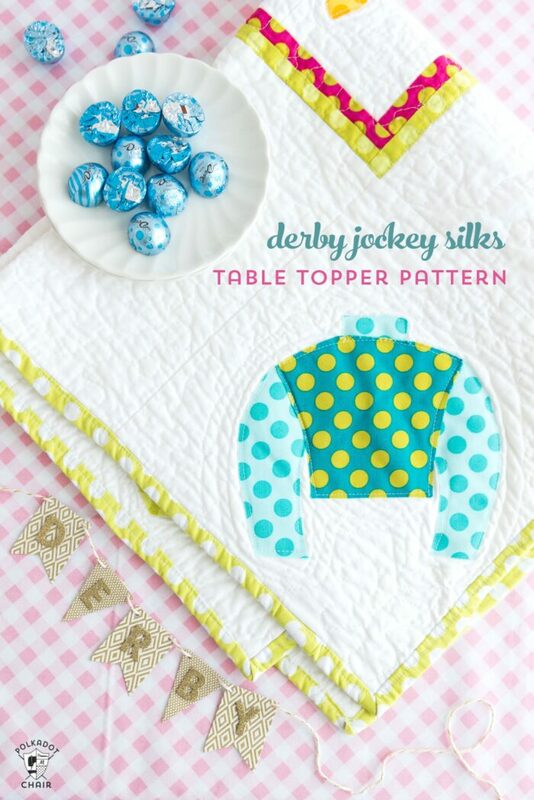 Several years ago (actually 7 to be exact) I stitched up a Jockey Silks Table topper for Derby and posted a brief tutorial for the topper. It was long before my Derby Style fabric was introduced, and even longer before I knew a thing or two about how to work my camera (forgive the less than stellar instructional photos). 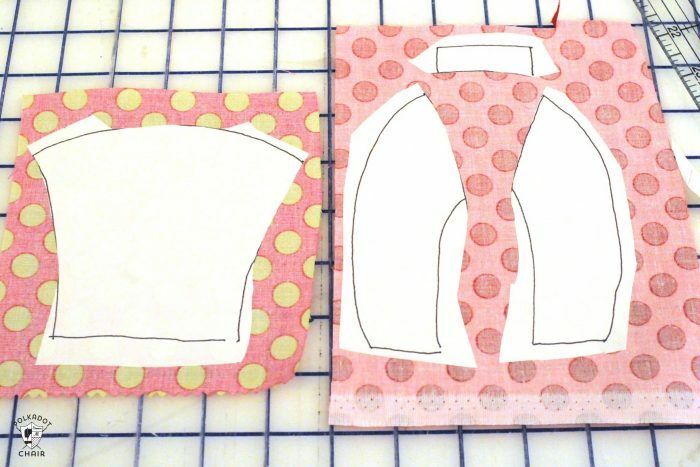 In the years since the tutorial was posted I’ve received quite a few emails asking for clarifications on the pattern and for the templates that I used to make the Jockey Silks and Horse Shoe applique shapes. 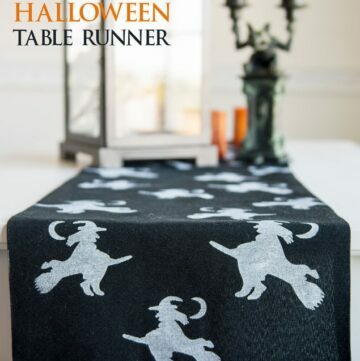 This week I sat down, and took a few new photos of the table runner and read over the directions again. I added a bit more clarification to a few steps and have turned the applique shapes into a simple PDF that you can download. 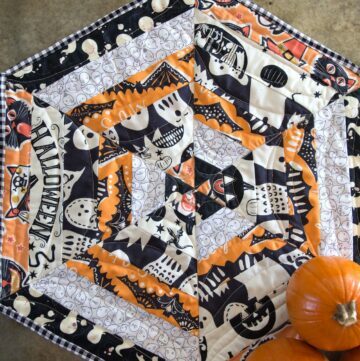 This table topper has been washed more than a few times and now possesses that yummy soft and fluffy texture that quilted items after they are washed repeatedly. So just know that it’s not “perfect”. 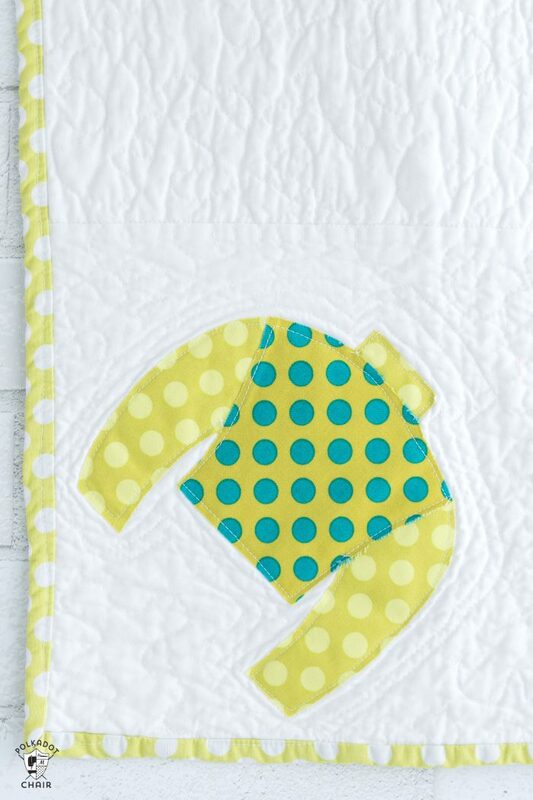 It’s also the very first piece that I ever tried to free motion quilt on my home machine. I did my best but it’s FAR from perfect. To be honest, I don’t really care, I still love it. Okay, are you ready to make one? 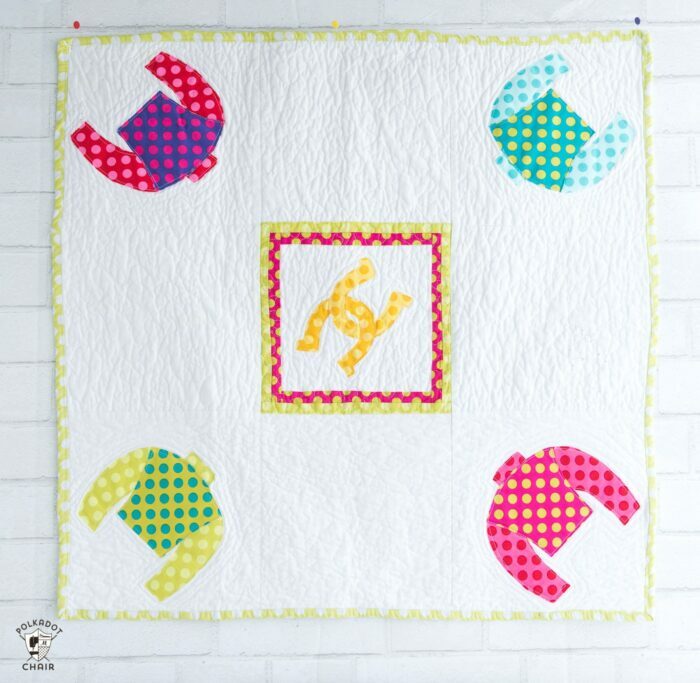 Jockey Pattern JUST CLICK HERE to download the applique pattern. 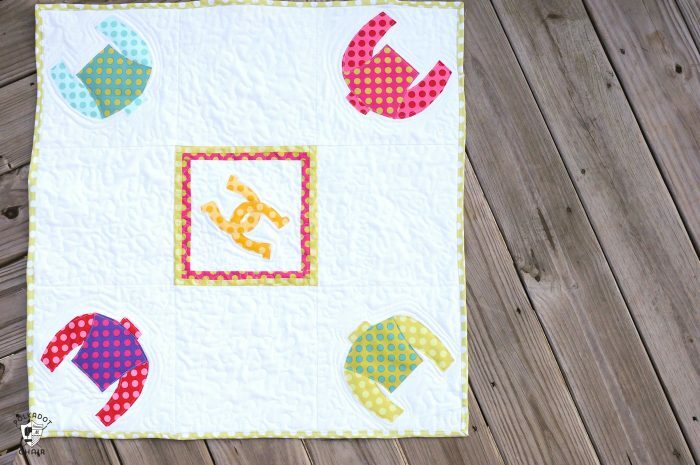 A design note before we get started: I think that this table topper would also look nice with a Jockey Silk in each of the blocks, not just the 4 in the corners. If you want to make it that way, just cut out 4 more Jockey Silks. Then place them in the 4 “empty” white squares. I recommend placing those 4 silks straight up and down (instead of at a 45 degree angle). Trace the Jockey silks pattern onto the paper side of the Heat N Bond lite. Cut the arms and collar off the main body of the shirt. 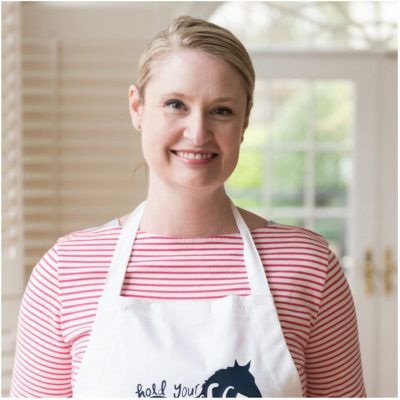 Iron the shirt to one polka dot print and the sleeves & collar to a 2nd print. Cut out, assemble & position at a 45 degree angle on one of your 10″ white blocks. Repeat with remaining 3 blocks. 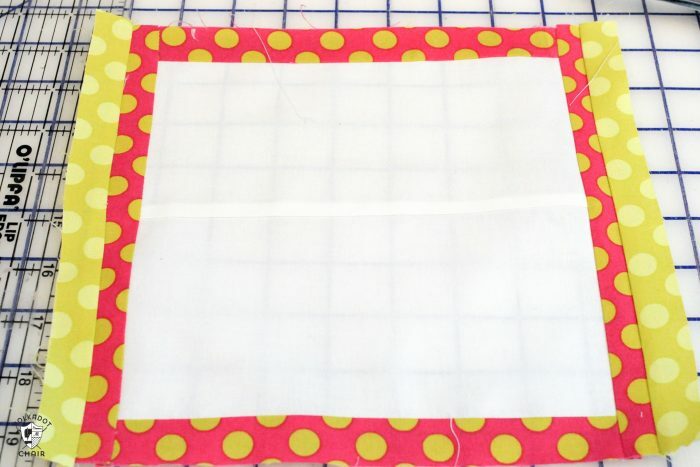 Pick up your 8″x8″ center block and sew two of the 1″ x 9″ strips cut from fabric A to the top and bottom of the block. Press. 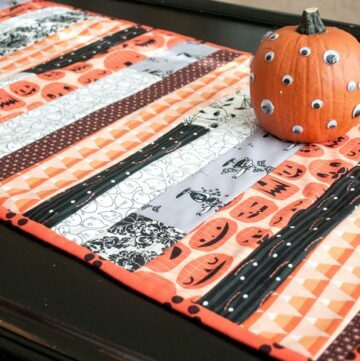 Stitch the two 1″ x 9″ strips from fabric A to the other two sides. Press. You end up with a double border. Press and trim block to 10″x10″. 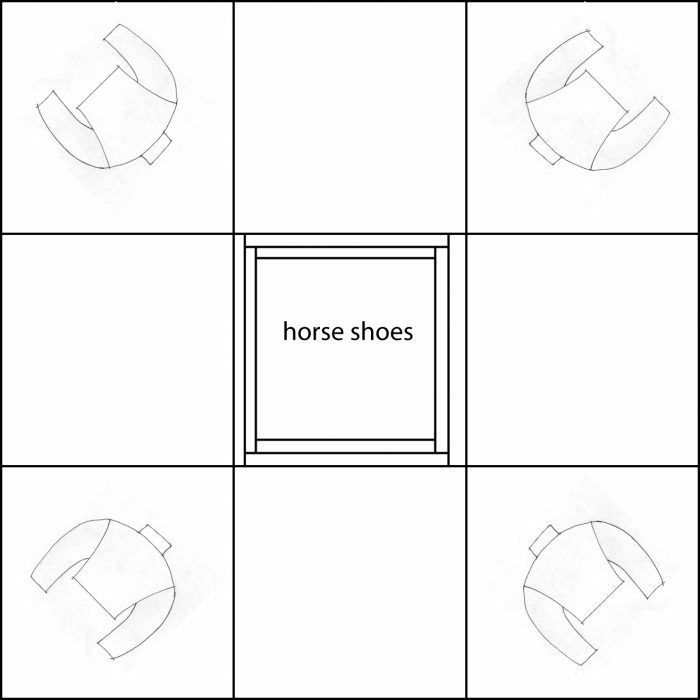 Cut out and iron your horseshoes to the center of this block, using the same method that you used to attach the jockey silks. 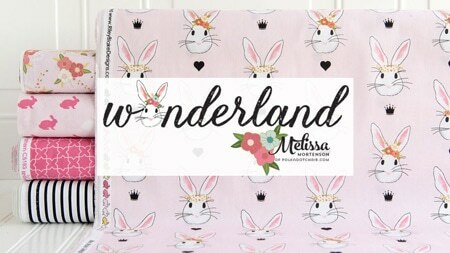 Using a straight stitch, zig zag stitch or applique stitch (it’s your preference) stitch around the edge of all of your applique pieces. Use the diagram above as a guide. Press seams. 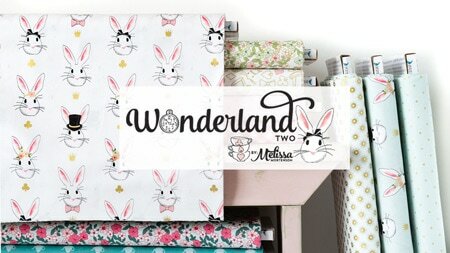 Quilt & Bind as desired. That’s it you’re done! It’s so simple you can make one for a friend too!